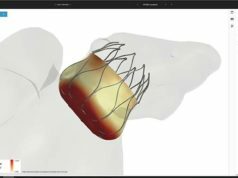 A study published in the Polish Journal of Cardiology has suggested that the minimally invasive hybrid ablation technique, also known as “convergence process” (Convergent Procedure), which combines the technologies of electrophysiologists and surgeons for the treatment of patients with persistent atrial fibrillation is safe and effective. The study showed that in 27 patients after a six-month follow-up phase, 72% remained in normal sinus rhythm without administration of antiarrhythmic drugs. After one year follow-up phase, the figure increased to 80%, and after two years, a small cohort of patients remained completely without arrhythmia (100%). The study was conducted at the University Silesian Center for Heart Disease Medical University of Selisia in Zabrze, Poland. “These are very impressive results. They indicate treatment success in patients with enlarged atria with limited treatment options,” said Oskar Kowalsi, specialist electrophysiologist and author of the publication, Silesian University’s Center for Heart Diseases, Poland. In the study, 27 highly symptomatic patients with persistent atrial fibrillation and long-lasting persistent atrial fibrillation who were treated with the convergence process were observed. Persistent atrial fibrillation and long-lasting persistent atrial fibrillation patients have resulted in a 90% share of the total population of patients with atrial fibrillation. However, this showed that individual catheter and surgical stand-alone treatments yield satisfactory results, have a high rate of recurrence and require repeated interventions in the recovery process. “The surgical portion of the combined procedure is reduced to a minimum. No other modern method as minimally invasive.The method is based on a novel trans-diaphragm method, which only makes a 2cm long abdominal incision required to gain access to the heart and puts the surgeon in the position to make lesions in the atrium and connect,” Zembal added. The Silesian Center for Heart Disease is the only institution in Poland that can offer this procedure. “After a series of presentations and studies that prove the effectiveness and benefits of the procedure, the convergence process is now used more and more frequently,” said Marian Zembala, director of the University’s Center for Heart Disease, Poland.